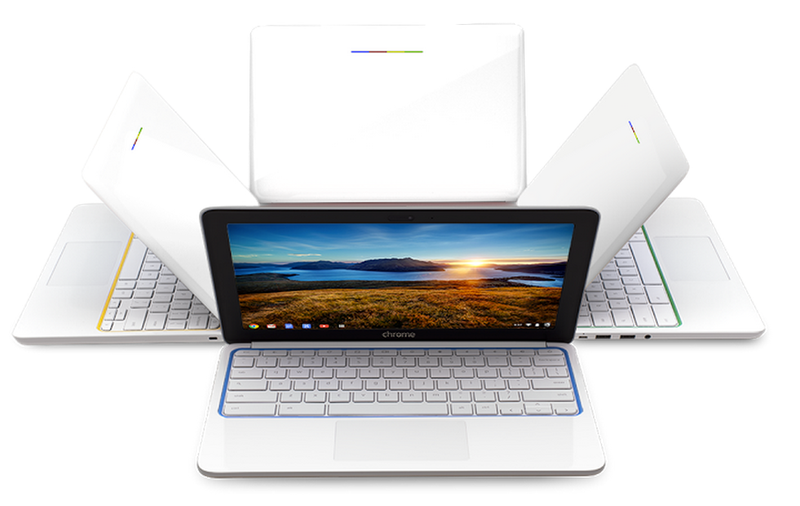 In partnership with HP, Google released a new Chromebook this morning called the Chromebook 11. The laptop is now on sale through Google Play for just $279.99, featuring some good specs and a unique design that many might find quite appealing. It features an 11.6″ IPS display, finely-tuned speakers, is completely noiseless, weighs in at an extra-light 2.3lbs., comes in a variety of colors, and features up to 6 hours of battery life. Not a bad little package. The feature that stands out the most to us is that you can power the laptop using a microUSB, the same exact charger you would use for your Android phone or tablet. With that said, it’s the perfect partner for any mobile users that don’t want to carry around any extra chargers or power adapters for their many different devices. It is available starting today on Google Play, Best Buy, Amazon, and HP Shopping.